Pixellu SmartAlbums 2 matches horizontal images to horizontal frames, and vertical images to vertical frames. However, at times you may want to use a horizontal frame in a vertical frame, or vice versa. There are two methods to achieving this. 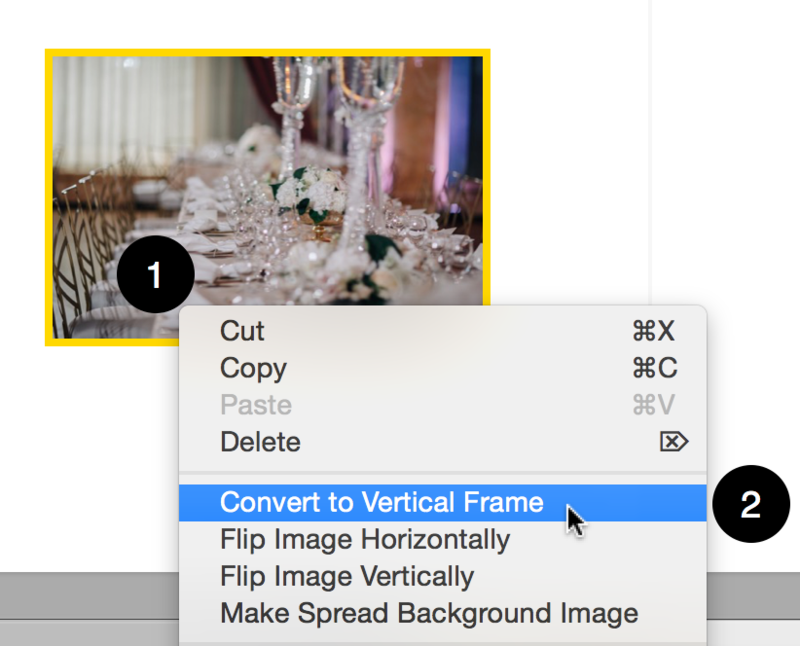 Right-click on the image you want to use a different frame for. This feature allows you to insert an image into a frame when the two are not the same orientation. 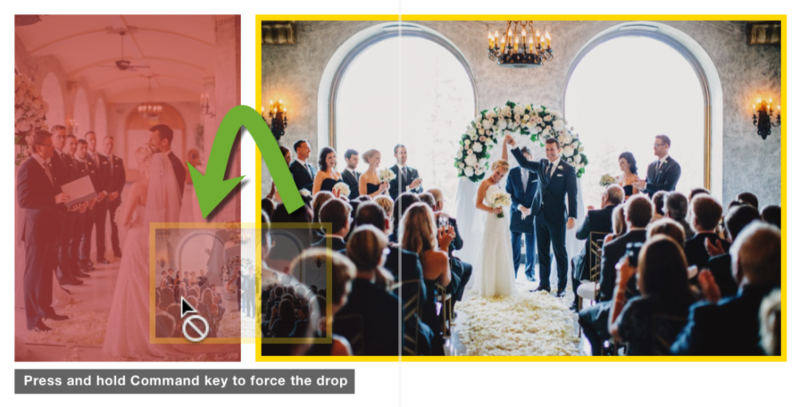 For example, you can force drop a horizontal image into a vertical frame. When you select an image and start dragging it to the desired frame that does not match its orientation, you will see a red tint as you are hovering over that frame, letting you know that it is not compatible. If you press and hold the Command key while still hovering over it, the red tint will disappear and you will be able to force drop the image into the frame. Notice that not only is the horizontal image fit into the vertical frame, but the vertical image is fit into the horizontal frame it was switched with.